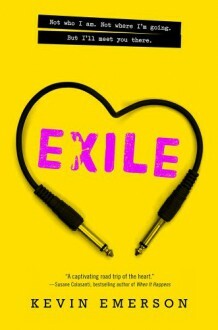 Kevin Emerson's Exile combines the swoon-worthy romance of a Susane Colasanti novel with the rock 'n' roll of Eleanor & Park. Summer Carlson knows how to manage bands like a professional—minus the whole falling-for-the-lead-singer-of-the-latest-band part. But Caleb Daniels isn't an ordinary band boy—he's a hot, dreamy, sweet-singing, exiled-from-his-old-band, possibly-with-a-deep-dark-side band boy. She also finds herself at the center of a mystery she never saw coming. When Caleb reveals a secret about his long-lost father, one band's past becomes another's present, and Summer finds it harder and harder to be both band manager and girlfriend. Maybe it's time to accept who she really is, even if it means becoming an exile herself. . . .